According to a press release by the Greek police,They has arrested an eighteen-year-old and identified two other teenagers it accuses of having defaced the Greek Ministry of Justice website. The attack happened at the start of February, Aged 16, 17 and 18, the three targeted schoolboys are suspected of taking part in this group under the nicknames ’delirium’, ‘nikpa’ and ‘extasy’. 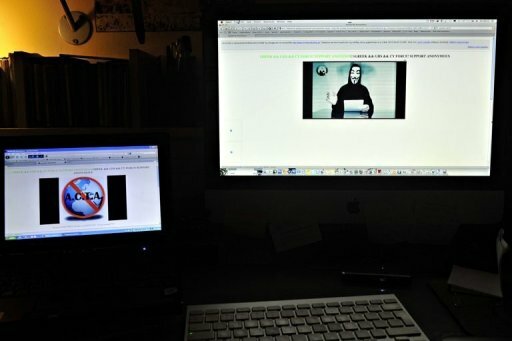 The Greek Cybercrime division has found electronic traces that supposedly lead to the subjects and claim that they’ve attacked many sites in the past. Besides the arrests, the unit also seized 12 HDD and 3 notebooks. A police statement says the three claim to be part of the international “Anonymous” activist collective, which has attacked computers in several countries. Hackers posted a video and messages on the Justice Ministry website on February 3, protesting the Greek government’s signing of a global copyright treaty and its handling of the financial crisis. "What is going on in your country is unacceptable. You were chosen by your people to act on behalf of them and express their wishes, but you have derogatorily failed," says the message that is still available on Youtube.